You’ve probably encountered aerated lawns sometime in your past. 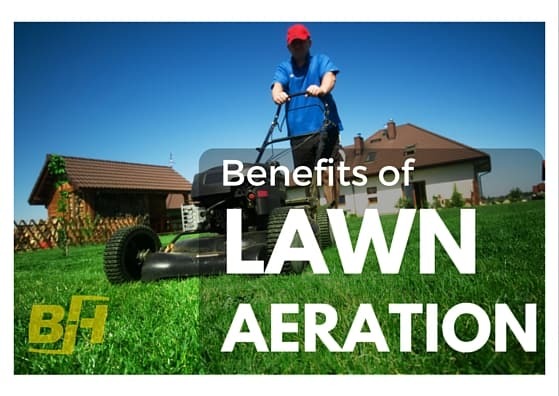 While some property owners have their lawns aerated on a regular basis, other property owners don’t even know what lawn aeration is meant to accomplish. Knowing the whys and hows of lawn aeration can help you take proper care of your lawn, ensuring the growth of lush, full grass over time. Thatch is a buildup of old dead grass, roots and other organic debris. Thatch builds up naturally on the ground around blades of grass. While a little bit of thatch is acceptable, too much thatch is unhealthy for grass and other plants. You can tell how deep your thatch is by digging out a plug of soil from your yard and measuring the thickness of the thatch on the plug. Thatch greater than a half an inch deep is too thick. Soil aeration improves the water penetration into the soil, so water that falls on your lawn will go deeper down into the soil than before. This is beneficial for your grass because it promotes the growth of long, healthy roots. This also helps save water, because it takes less water to penetrate the soil and water the lawn. Plants need air in order to thrive, and grass is no different. By aerating the soil, you provide your grass with oxygen, which is important for healthy root growth. Soil drainage. Soil aeration loosens soil that’s been compacted. This improves soil drainage and prevents standing water on the lawn from spreading fungus and disease to your grass. The best time to aerate your lawn is during the growing season. Aerating when the grass is actively growing will encourage the roots of the grass to grow back in the holes left by the aerator, so your lawn won’t be left with empty spaces in the soil for very long. Aerating can be done in one of two ways. Either the soil can be aerated manually by a tool that removes plugs just a few at a time, or the soil can be aerated by a machine that removes plugs in large quantities at a time. While the hand tool is an option, aerating your soil in this way can be time consuming. Having your soil aerated by machine is faster and more efficient. Many homeowners who choose to have their lawn aerated hire a professional lawn care service for this task, because professionals have access to the large machines that make lawn aeration quick and easy. Aerating your lawn is one of the best ways for you to have healthy soil and lush, green grass throughout the growing season. If you’re interested in aerating your lawn and are hoping to get started, contact Bur-Han Garden and Lawn today. Our customer service representatives can help you with the process. 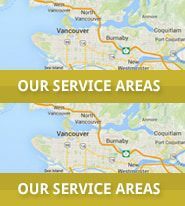 Call us at 604-983-2687.